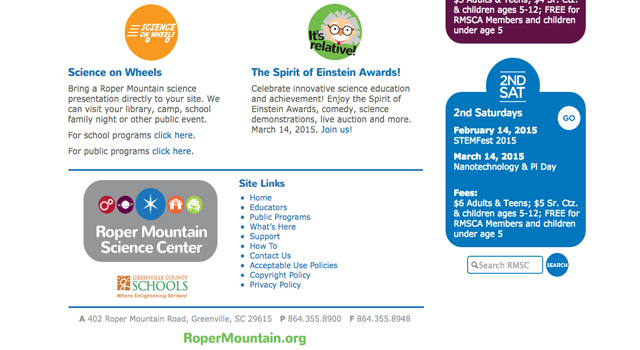 Roper Mountain Science Center is a non profit organization that exists because of a unique partnership of public ownership, corporate sponsorship, private support, and volunteers. 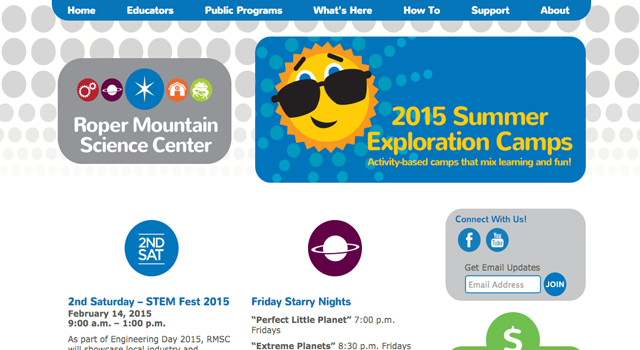 The primary mission of the Center is to foster enhanced learning and growth opportunities through educational excellence and high quality instructional programs for students, teachers, and the general public. 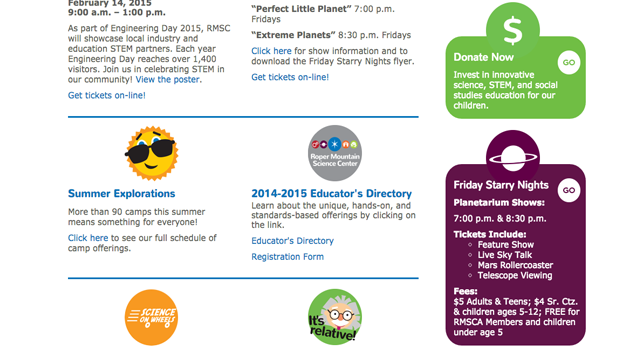 Enrichment programs are presented in an exciting and entertaining manner that makes learning fun. 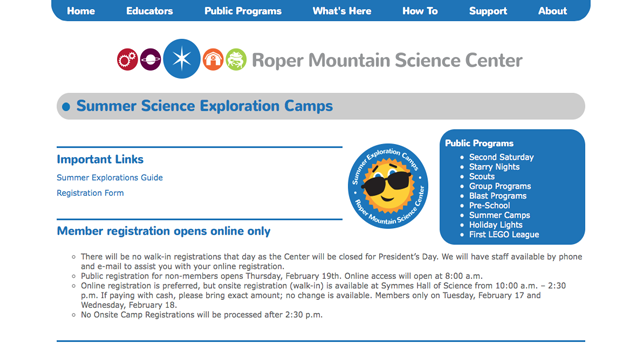 Many of the Roper Mountain Science Center’s activities are made possible or enhanced by active volunteer support. Opportunities to help at the Center represent a wide variety of interests and skills everything from plant and animal care to being a costumed living history farm volunteer. 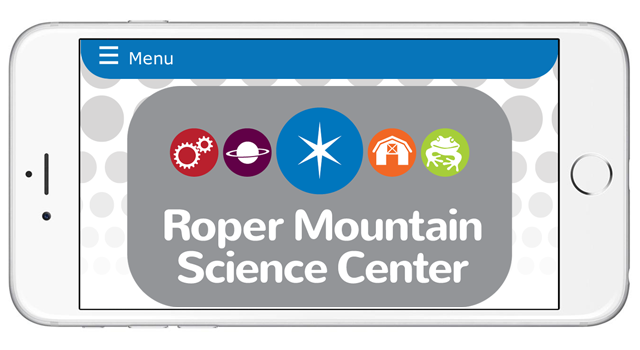 Roper Mountain Science Center approached me to refine and update their brand. I’ve worked extensively with the administrative team ensuring their brand reflects the vitality and energy of the Center. 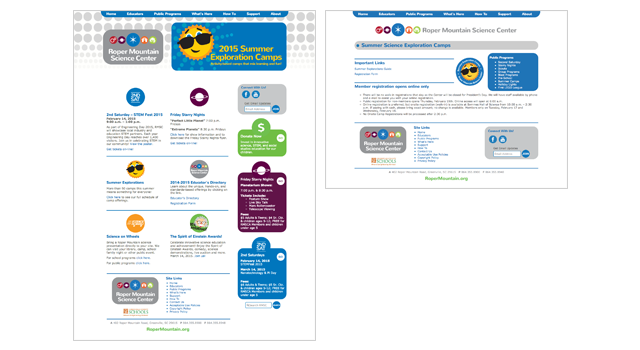 This effort has resulted in a complete overhaul of the previously outdated brand!